RAIN or SHINE we will visit Pinnacles National Park on Saturday, November 11, 2017. We will take back roads parallel to Morgan Hill before cutting through Gilroy & Hollister on Hwy 25 to Pinnacles National Park. Make sure you have plenty of water. Once we are at the park you are on your own based on your interests & ability to navigate trails & such offered at Pinnacles. Due to higher visitation since becoming a National Park they will probably be using their shuttle service to take visitors to the top. Pinnacles National Park is pleased to offer visitors a free shuttle on weekends and most holidays. The shuttle only stops at the East Pinnacles Visitor Center and Bear Gulch. Weekends are especially busy between 10am and 3pm. Wait times for the shuttle can exceed one hour. Pets are allowed in the picnic areas, parking lots and on paved roads. Your pet must be physically controlled on a six foot leash. Your pet should be with you at all times. It is prohibited to leave pets unattended in a vehicle. 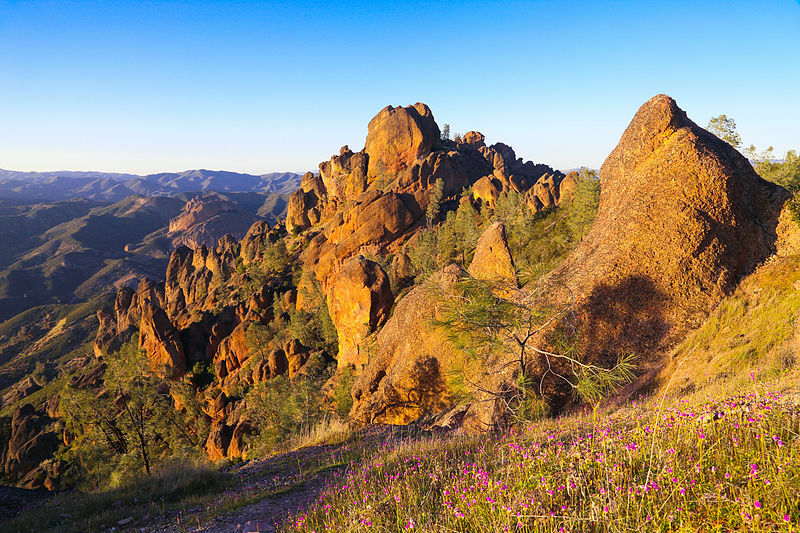 Please keep in mind that temperatures at Pinnacles National Park can vary widely. Temperatures upwards in the 90's are common in the summer months. Cool, cloudy mornings can turn into surprisingly warm days, even in winter. Please do not leave your chained pet unattended, even in the campground. Dogs, and other pets are prohibited on Park trails. Domestic pets leave a scent that may disrupt, or alter the behavior of the native wild animals Pinnacles protects. Pets may also attract predators or transmit diseases to fragile habitat while in the park. Annual Meeting: Recap and Results!